Detroit and Dublin – so far from each other and so close in the mind of Conan O’Donnell. 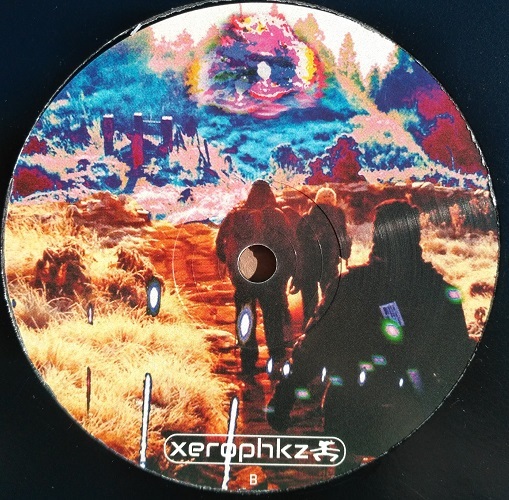 Running his own label and alias xerophkz since 2015, the Irishman seems to belong mentally to the nineties of Motor City with raw techno productions he presents in the new EP “Underground Psychosis”. His robust tracks remind of early output from the Underground Resistance camp and are giving thrills to anyone who is missing new “Punisher”-type tracks from Detroit, so rare in recent years. The spoken word in beatless “Intro” delivers an ode to music’s vital role, affirmed by the following buzzing and stomping predator “Underground Psychosis” and harsh synth scrub of “Rising Gods”, which is smoothened by ambient pads. On the flip “Badass” is grooving and thrusting like hell and after one-minute breather “Reprising”, the EP with over 27 minutes playtime concludes with techno bass exercise “No Destiny”. O’Donnell has produced pure, mechanical techno moving bravely close to 140 BPM, which doesn’t recall only UR but also early Claude Young and Rob Hood’s rough output on his first label Hardwax. “Underground Psychosis” is O’Donnell’s most mature release so far but two first EPs are most recommended too. If you would like classic Detroit chords from him, just head to “Time Marches On” sampler on Lunar Disko.